Pouring Beans is the natural home of democracy. In years gone by we have witnessed landmark votes on key issues that have set the agenda for a generation to come: subjects like meat, socks and playground rides. Today’s vote is the big one. History calls us. 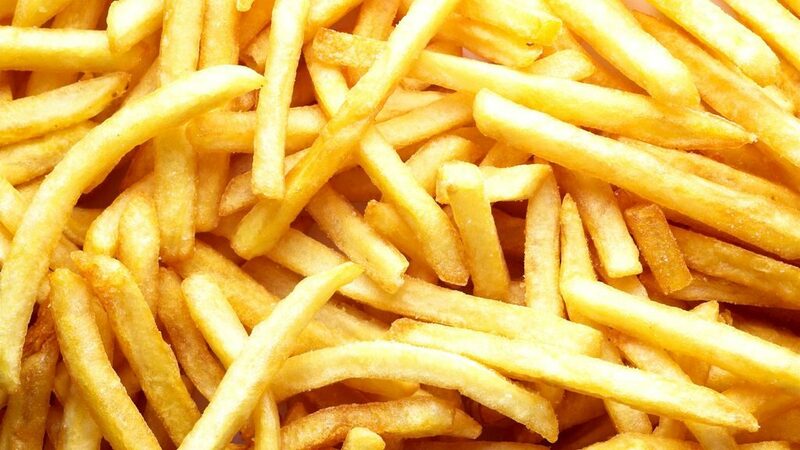 It is time to decide, once and for all, the best kind of chips. You can, and will, choose one of the following. Or another one if there’s any I’ve missed out. It appears as though nobody cares about chips! This is not the case at all. I completely wish to endorse the love of triple-cooked skin-on chips. They’re D to the A to the B O M B.
I think that’s a sensible choice. My preferences vary day by day, but I think I’m going for number 2, chunky chips. It was a close run thing with French fries and triple cooked skin-on mo-fos, though. On another day in another mood it could all have been different. I may have to deck anyone who dares to choose oven chips. They’re lacking in everything. Also, wide and flat pub chips? Do you have a picture? Chips are ace. Just looking at the image on this post makes me hungry. Can I vote for all of them? Its hard to have a bad sort of chip. They all have their place. Nobody wants french fries with a Battered Fish, but neither do I want chip shop chips with my burger. The exception to this is probably oven chips which are almost always a compromise. Do the nice crispy sweet potato fries count as chips? Yes, I’m pretty sure sweet potato chips of all kinds count as chips. Sainsburys do a similar (a similar?) yes they do a similar and they’re tasty. When I’m a millionaire I may purchase your suggestion. I haven’t tried a similar (a similar?) 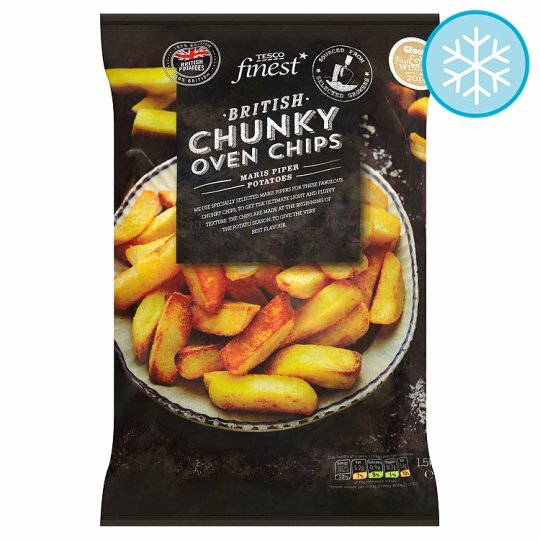 from Sainsburgers but I can confirm that the price of Tesco Finest oven chips are below the £1m mark. Even so, spending £999,999.50 on a bag of chips is pretty steep. I know it’d different down in that there London but that’s a smidge ridiculous even by capital city standards. You need to try them. Once you’ve tasted them you’ll see they’re worth every massive London penny. I’ll need to remortgage my, erm, fridge (?) to get the money but if they’re that good then it will be worth it. That is, unless you wanna have a whip round (waaaaaaaaaay!) and donate a bag to me? 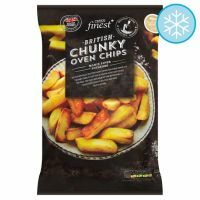 I would donate a bag to you, I really would, but I fear they’d defrost before the Royal Mail could get it to your salivating jaws. What about if you bought them, cooked them and then sent them to me? That’s how food works, isn’t it? No. The Royal Mail specifically refuse to carry hot chips because they’re too delicious and they can’t guarantee that nobody will eat them before they arrive. You could send them via Parcel Force, but they’d be broken, soiled Dirty Chips™ by the time he received them. Basically you’ll have to visit London to taste the world’s best oven chips. There’s no other way. We’ve explored all options. Dammit. So I can’t have them at your flat in Royskopp?